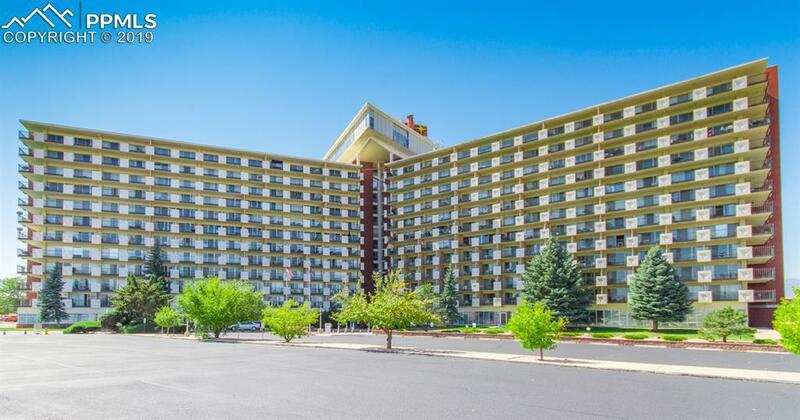 3rd floor, 2br unit, huge private covered deck, facing pool & southern mountains. True one level living. Weather free indoor hallways. Garage space GW107 not included, but available for additional cost. Elevators whisk you from a stair free entry all the way to your floor. HOA includes heat, air conditioning, electricity, water, sewer, trash, exterior insurance, RV parking & much more. Complex has pool, library, meeting areas, billiard room, library, women & men's gym. Cats & service dogs allowed. 10 laundry rooms. Listing provided courtesy of Heart Realty.